MAN UP! : Men are from Venus and Women are from Mars? I read with interest a column by Caitlin Flanagan in the Wall Street Journal titled, "Stewardesses and Bunnies of Yore: Why is TV focusing on women of the prefeminist past?". 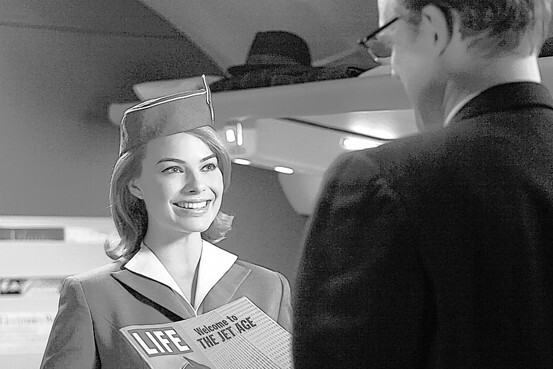 Caitlin laments, "Anyone else feeling nostalgic for the golden days of jet travel—when one of the delights of a journey was marveling, in an unconflicted way, at the beautiful young stewardesses—will warm to ABC's new fall show 'Pan Am'." Well, I am. I yearn for the time when men were men and women were women. I remember a time when men respected women, put them on a pedestal and worshiped the ground they walked on. Why? Because they were worthy of our respect because we were men and that was what men did, respect women and the roles they played in our lives. Whether it was our mother, wife, daughter or co-worker, we respected them. Conversely, they respected us - as men. That all changed in the 1960s. Caitlin states, "But most riveting are the stewardesses themselves, whose professional and private lives—which unfold, depending on your point of view, in either the golden amber or the black tar of the last pre-Betty Friedan moment of American womanhood. 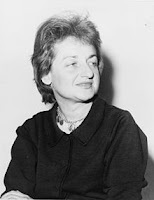 . ."
The black tar of the last pre-Betty Friedan moment? Who is Betty Friedan and how did she single handily destroy womanhood? In 1966, Friedan founded and was elected the first president of the National Organization for Women, which aimed to bring women "into the mainstream of American society now [in] fully equal partnership with men". In 1970, after stepping down as NOW's first president, Friedan organized the nation-wide Women's Strike for Equality on August 26, the 50th anniversary of the Nineteenth Amendment to the United States Constitution granting women the right to vote. The national strike was successful beyond expectations in broadening the feminist movement; the march led by Friedan in New York City alone attracted over 50,000 women and men. The legacy of Friedan is something called "gender neutrality". This says that men are not men and women are not women. That their natural roles in life are meaningless. That woman no longer need men to raise children, have a happy life and be successful. Betty has helped to destroy not only the traditional family but also the fabric of our society. Betty's legacy, carried on by NOW, is an ever growing divorce rate, more and more single parent families and children growing up without knowing their fathers. The greatest impact has been on the black community where over 70% of children grow up in a single parent home. Single parent homes are notoriously poor, under educated and produce more single parent homes. So who bears the costs of Friedan's movement? Women, that is who. Women are now dependent not upon themselves and their husbands but rather beholding to government for food stamps, public schools for free lunches and the state for welfare. That is the Friedan legacy - the destruction of men and its replacement with "gender neutrality". The ultimate destroyer of families.